In the process of choosing a house or condo to buy, house-hunters find themselves in a lot of old houses. Some are totally renovated. Some have been repaired along the way. For recent renovations, look at both the materials and quality of the installation. 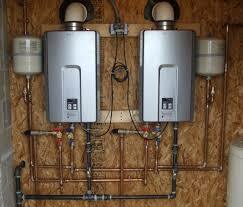 With a maintained house, look for the quality of the repairs, and also look for signs of aging. 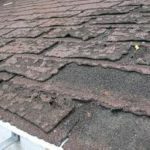 In a typical house, you’ll find at least one component that is worn out, unless you are looking at something that just got a down-to-the-studs renovation. Like a car, a house will have something that is part way through its economic life, as time goes on. If you expect a car to never need repair, you are better off being a Zip Car member. A new car doesn’t need much, but you still need to change the oil and inflate the tires. If you don’t, bad things happen. If you buy a used car with 40,000 miles on it, it could be in pretty good shape. But, it could also be at the point where it needs brakes, battery, or some suspension components. Depending on the price, that could be OK. But, if it has a broken frame from an accident or an engine problem, you really should pass on that one. The same is so for a house. If you are not prepared to spend money repairing and improving a house or condo, you will be happier renting. Anyone who owns a house will need to replace parts of the house from time to time. 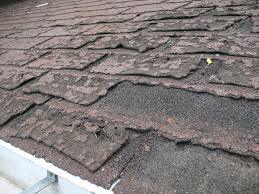 All houses need roof work every fifteen to twenty-five years. 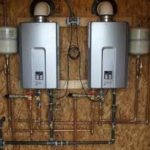 Water heaters are designed to crack shortly after their warranty is up (and some of those warranties are six years, some ten or twelve.) Boilers run for twenty years or more. Repairs that were done, like exterior carpentry and painting, will need to be redone at least every decade. There are finite problems that have relatively finite costs to repair. If you have these kinds of problems in a house, it is fairly easy to decide about whether to buy it or not. Finite problems include replacing boilers, roofs, removing asbestos or remediating radon, replacing bathrooms, replacing or repairing windows. After a home inspection, there is a bottom line to negotiate about. When we go house-hunting with my clients, we look for finite and not finite problems so that we can make a guess at what the inspector may find. After the inspector comes through, we are then armed with a more complete and accurate list.